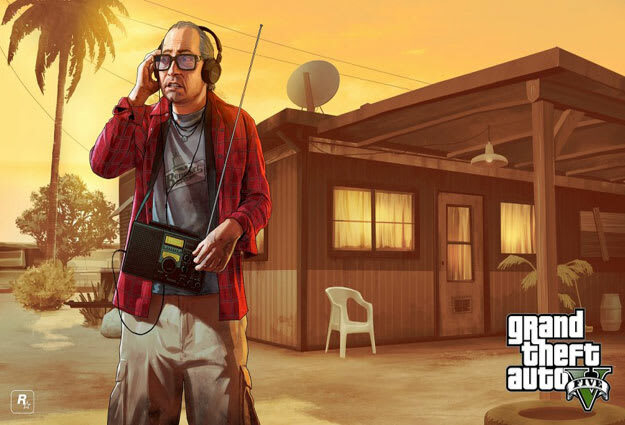 Murder Music: All of the Dance Tracks From "Grand Theft Auto V"
We know, we know, "didn't Grand Theft Auto V drop last year?" Yes, you're correct, it hit PS3 and Xbox 360 back in September of 2013, and at the time Image via we ran through all of the electronic tracks featured in the history of the franchise (outside of GTA V, that is). Then something dope happened: Sony and Microsoft released their PS4 and Xbox 1 systems, respectively, and not only added a seriously life-changing first person mode, but also added a gang of new songs to the game's existing radio stations. That edition is out today, and we wanted to catch everyone up to speed with the electronic music that's been featured on GTA V. From Flying Lotus' FlyLo FM to the Gilles Peterson-curated Worldwide FM, this game featured everything from the cheesiest house music to the subversive sound of footwork from an array of producers. Run through this soundtrack to merk your homies to!